The texture is very full and very thick easily blending with most black hair textures. 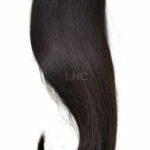 Brazilian hair extensions are coarser than Indian and would hold curls better. If preferring to wear your hair bone straight, Indian would be more suitable. 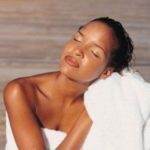 Indian hair is dense and a good match for black women’s hair textures. It is great if you want to wear your hair straight. Its very versatile and holds curls very well. Malaysian hair is very soft and fine. We would say it can blend well with relaxed textures or if you are someone who has fine, silky hair. It holds curls well and we recommend purchasing a top closure to ensure all hair is blended if you are someone who has more of a coarser texture of hair.